Abe plays the single Takagi Mamoru, an employee at a stationery maker. He ends up becoming the guardian of his deceased friendâ€™s twin children, played by Ashida and actor Suzuki Fuku. 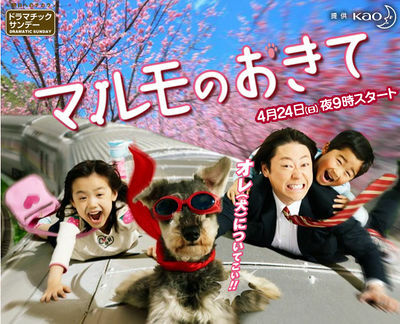 The show is primarily a home drama about the three of them gradually becoming a family, but it also contains an element of fantasy, as the two kids find a dog that can speak (played by a male Miniature Schnauzer).